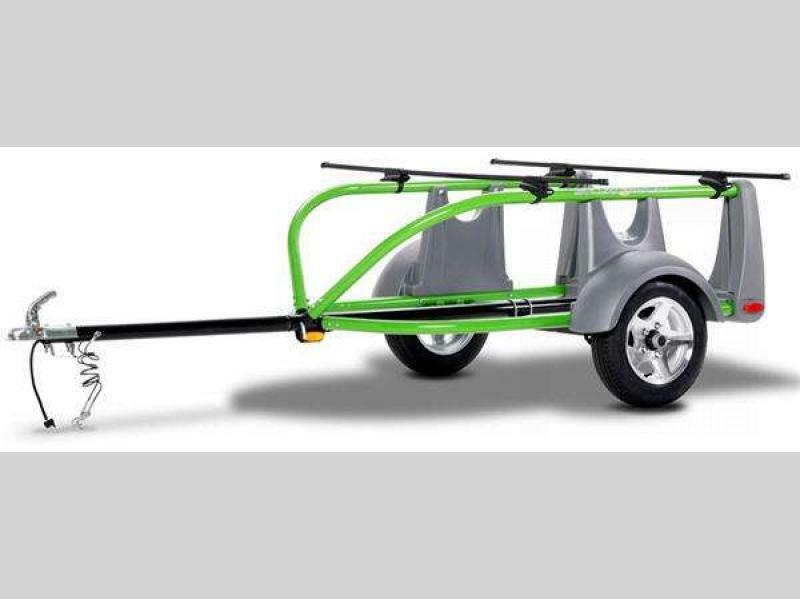 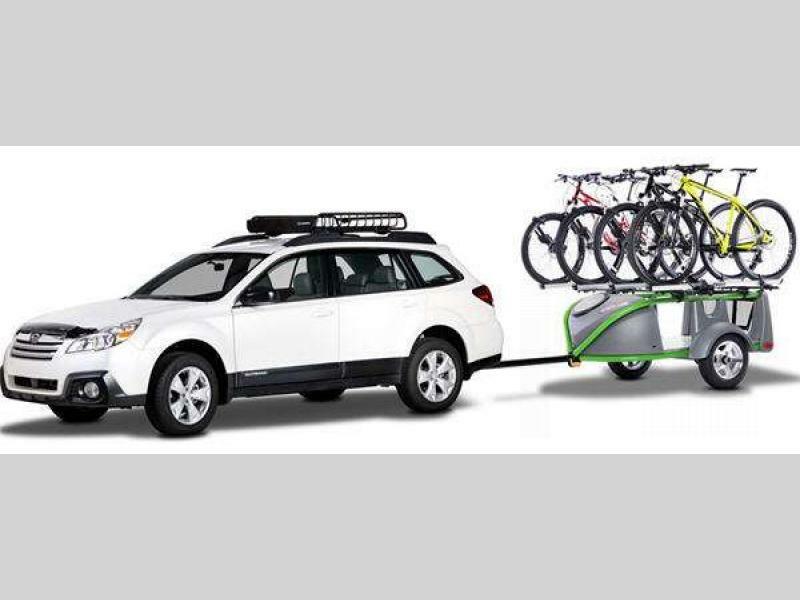 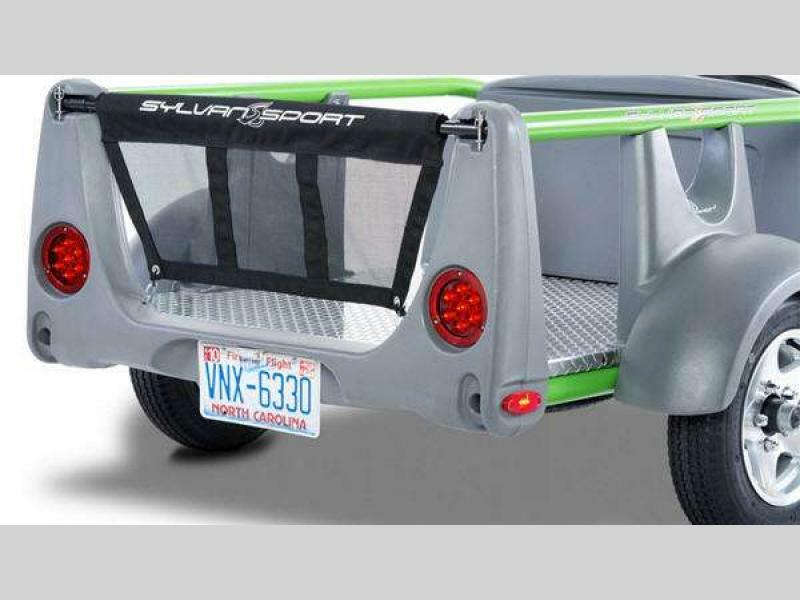 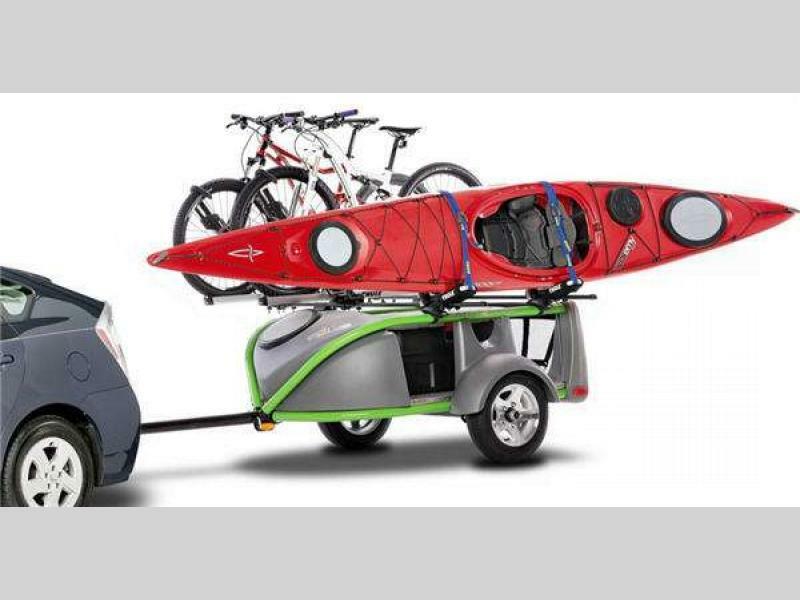 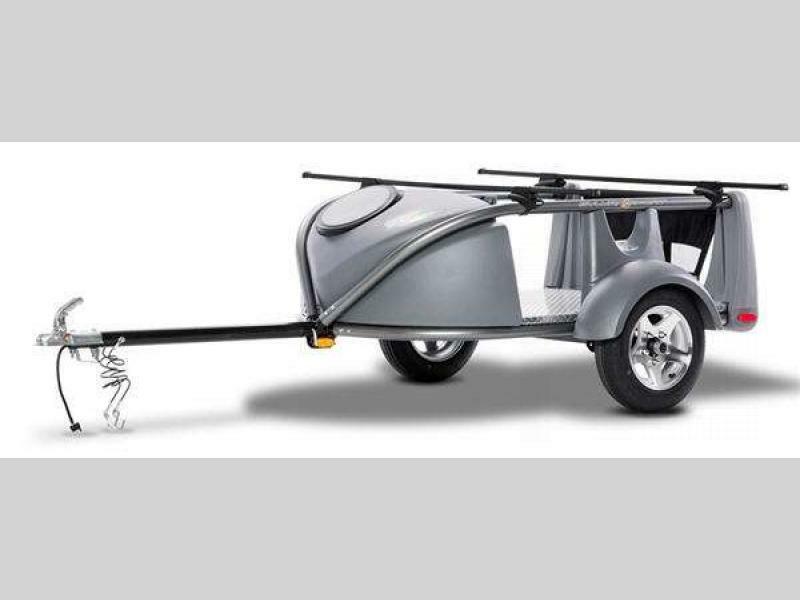 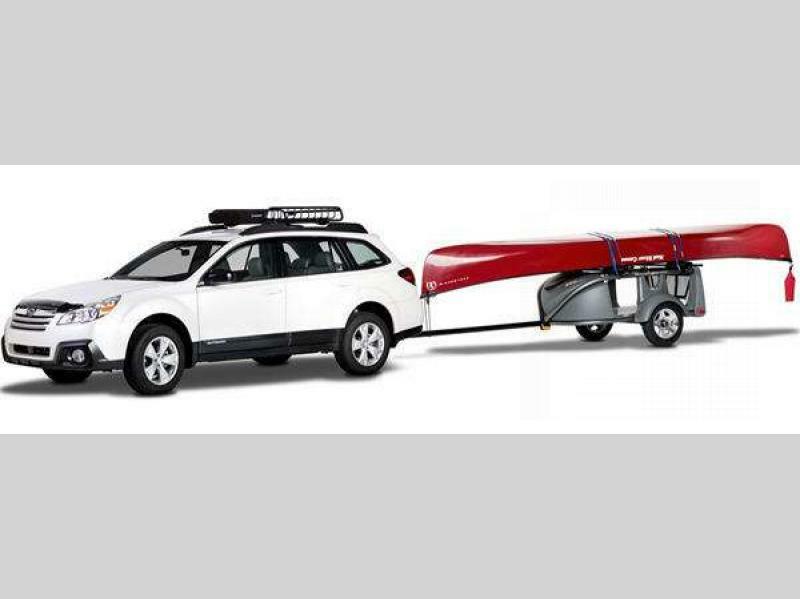 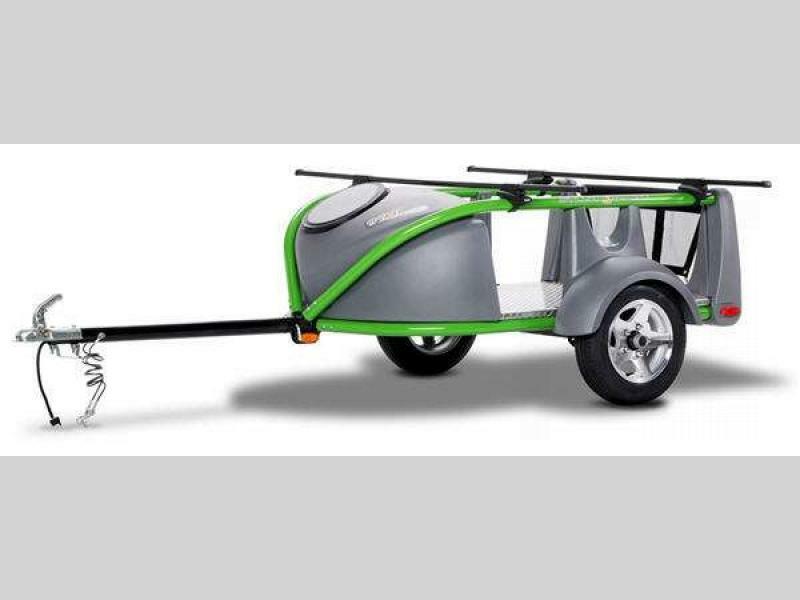 The SylvanSport GO Easy utility trailer is a functional, compact, micro-lightweight roof rack on wheels that will easily meet your needs and budget! 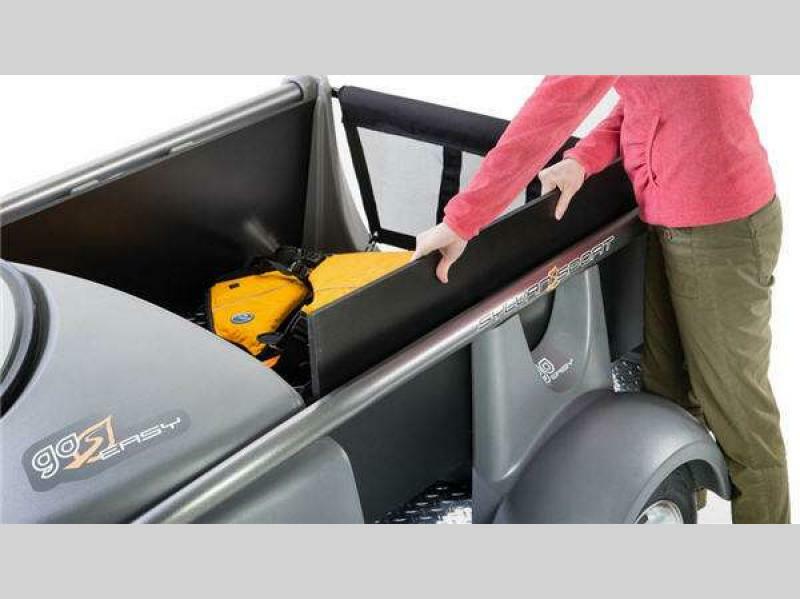 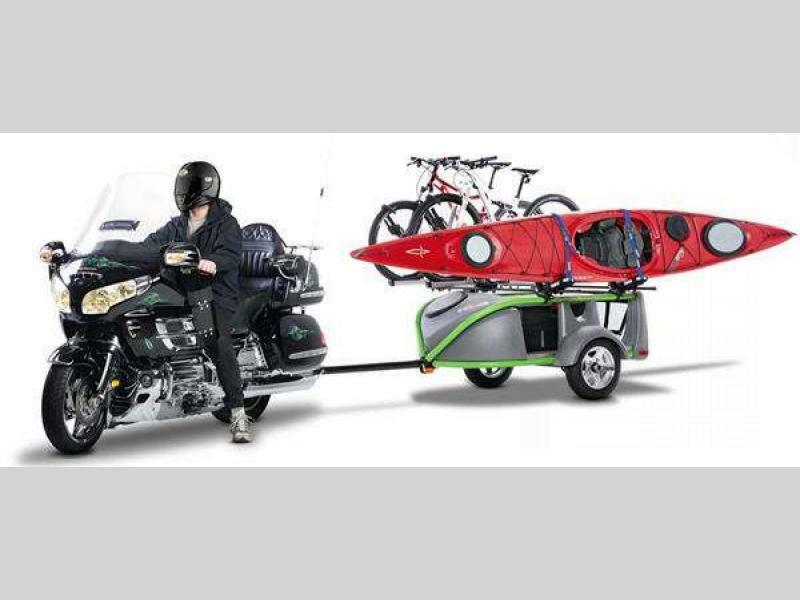 Built with a durable powder-coated steel frame with a lot of rack space, the GO Easy is available in either an Essential or Ultimate model providing you with an adventure unit packed full of features that can be towed by any car or motorcycle! 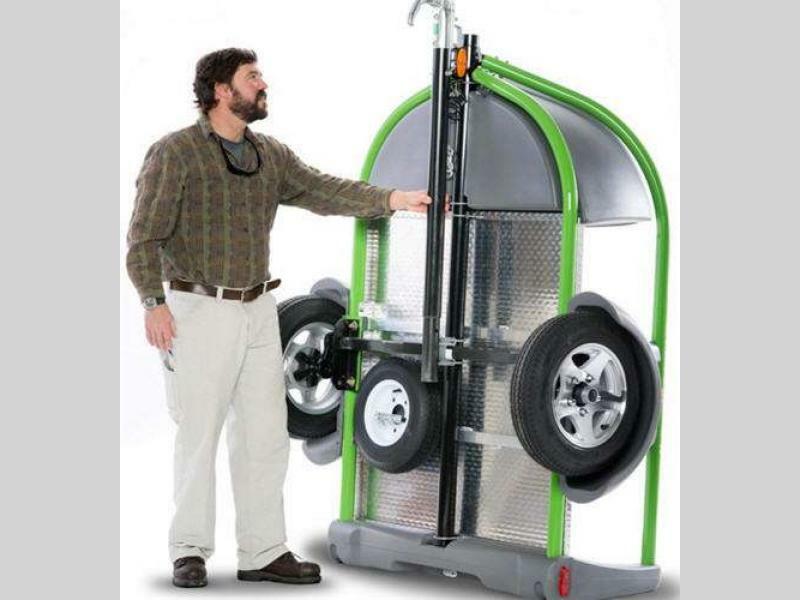 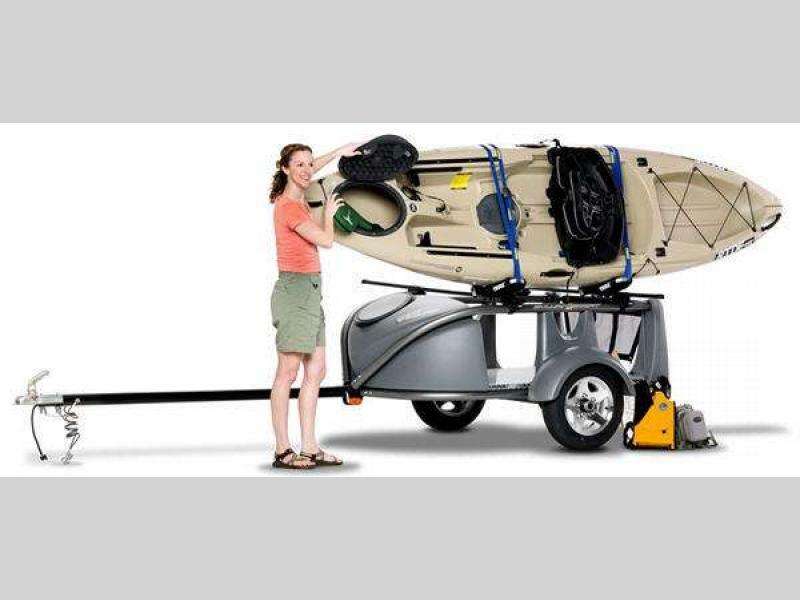 The GO Easy models store upright in your garage or storage shed and take up less than 10 square feet of space, and the low profile allows it to easily be loaded with any gear. 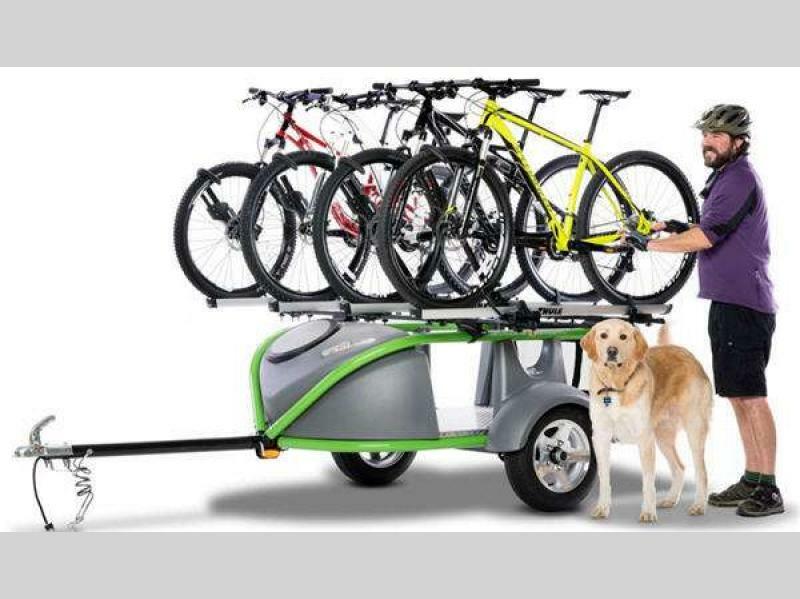 Even bikes on the roof top can be reached with ease. 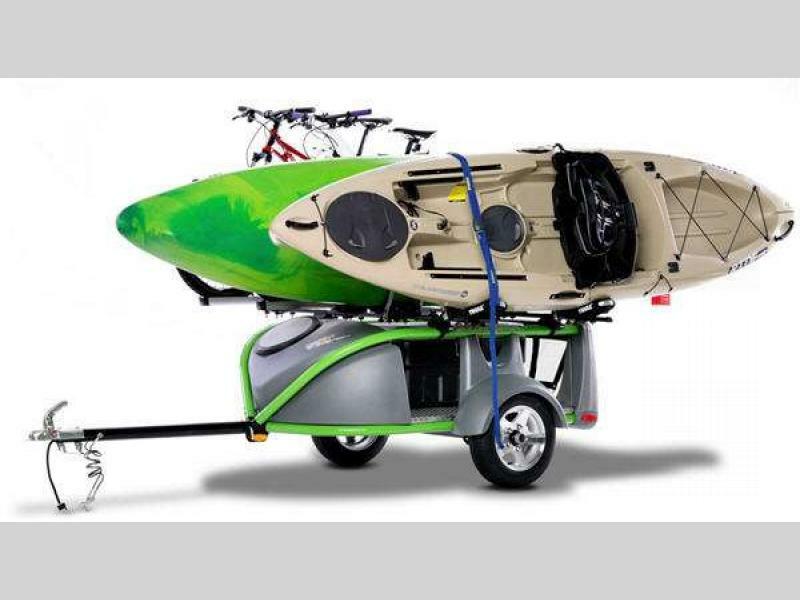 You will love the open design which makes it easy to take along all sorts of gear, and the many available options means it is totally customizable to any sport or activity that you and your family enjoy. 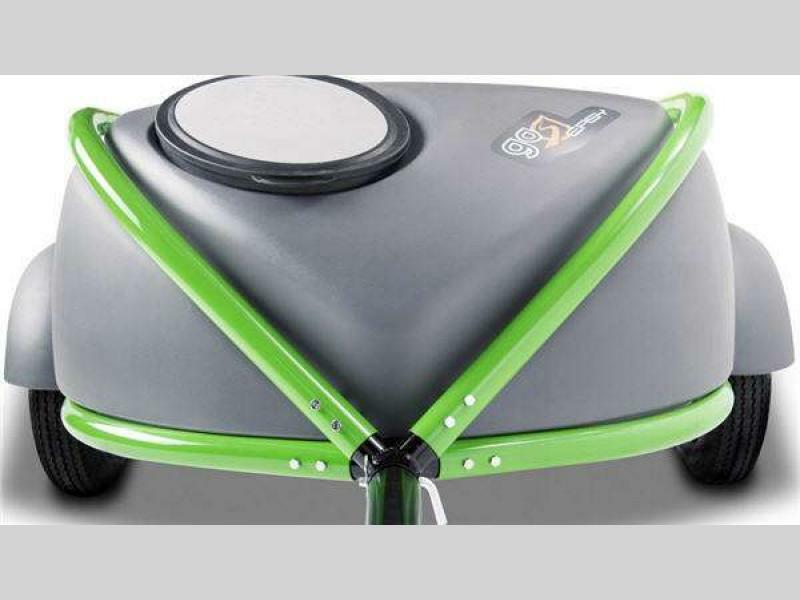 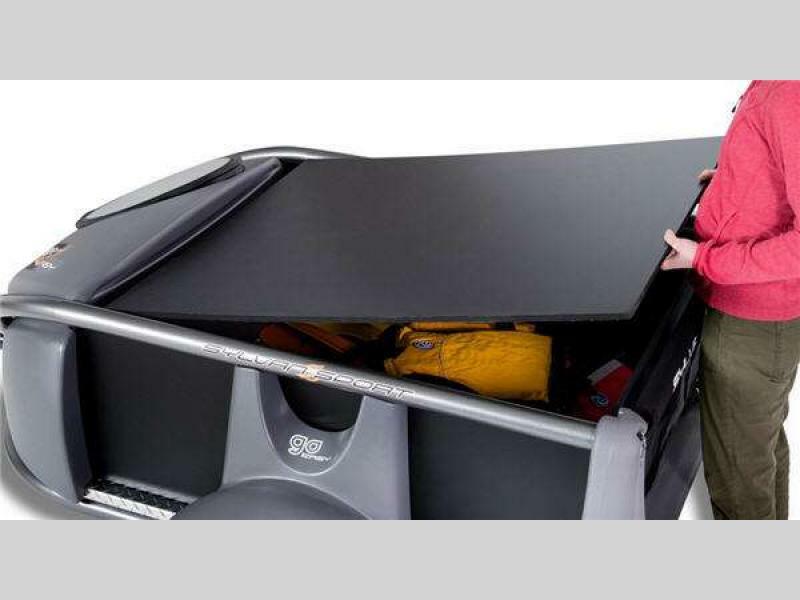 A molded front storage pod can instantly increase your weatherproof storage capacity by another 6.2 cubic feet. 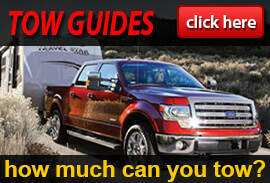 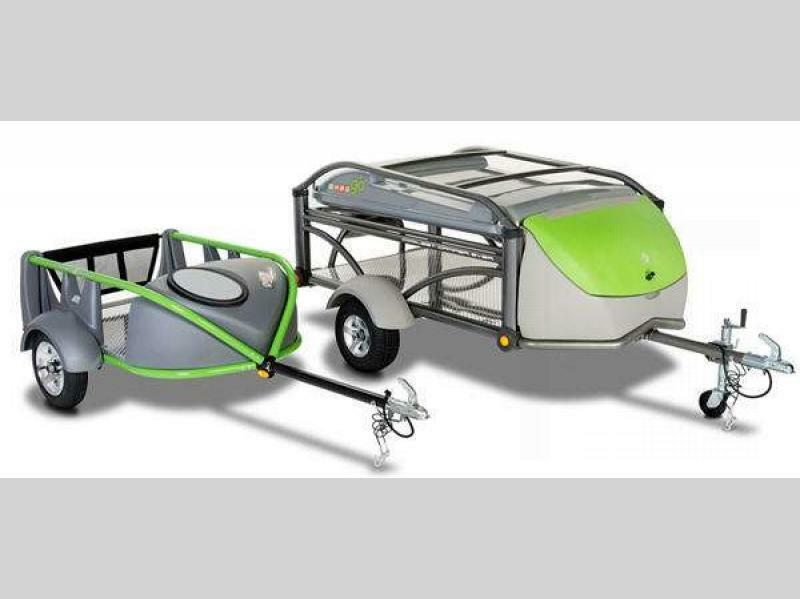 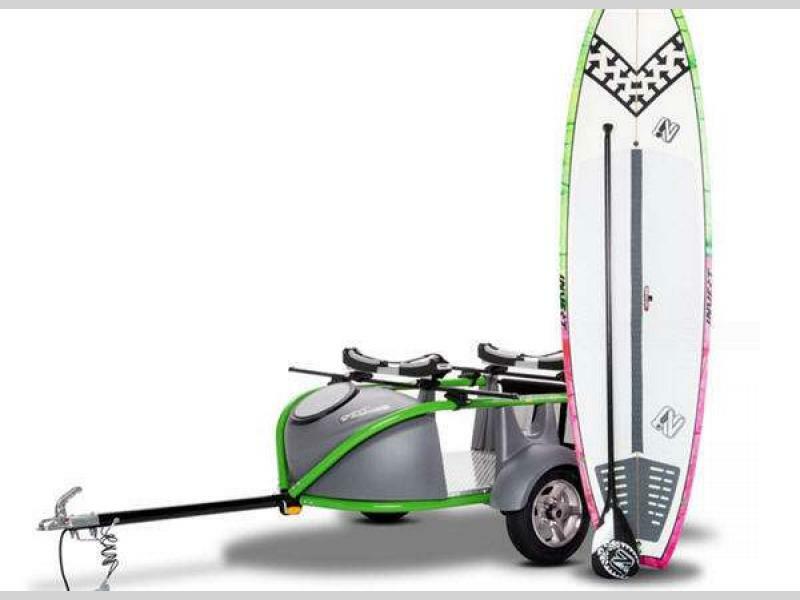 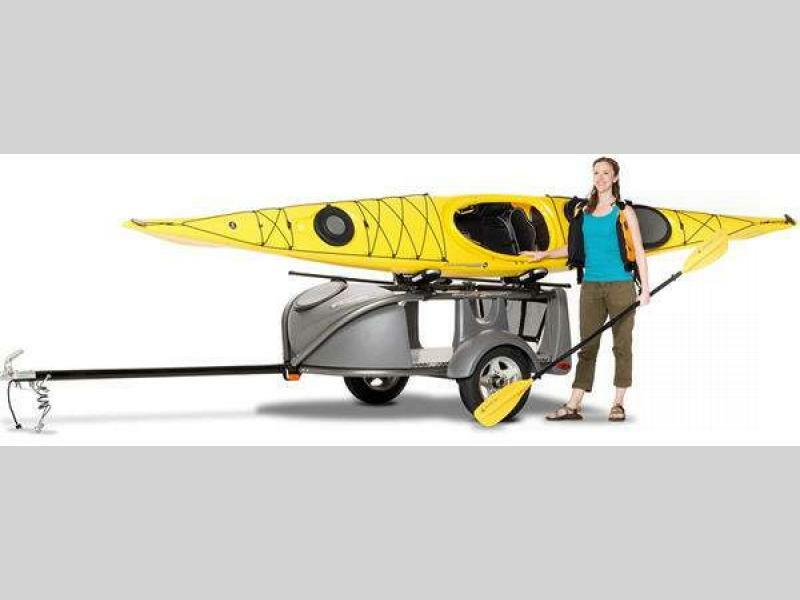 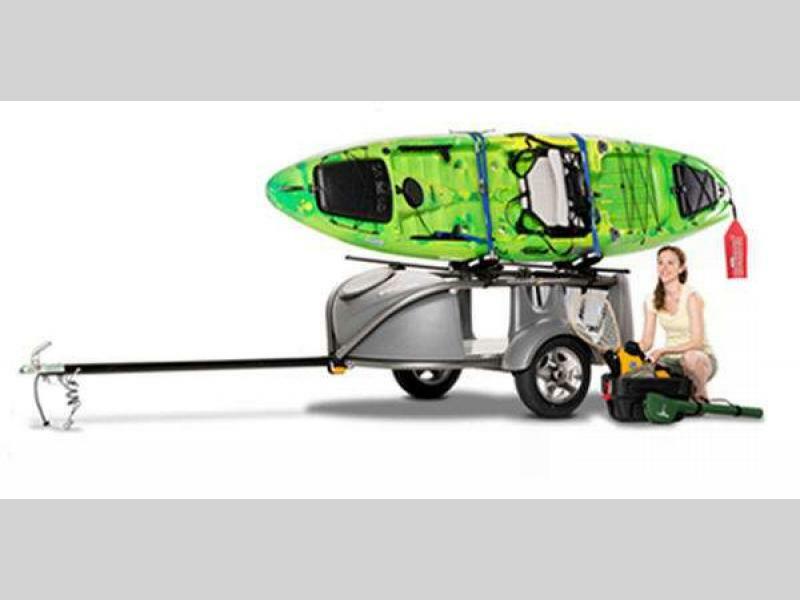 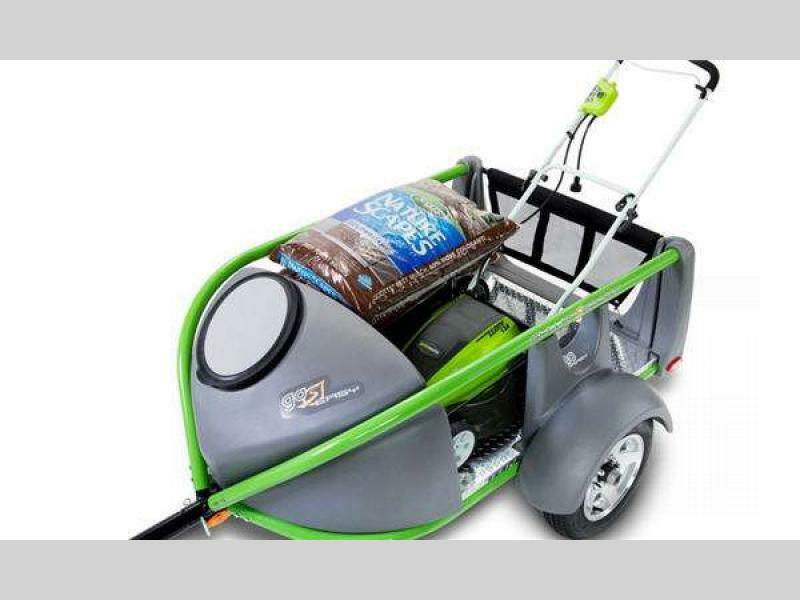 Come get your new GO Easy utility trailer today and head out on your next adventure with the coolest trailer tomorrow!